Logistics companies may be wondering whether a sharp drop in imports into major U.S. ports last month is just a pause or a sign of a deeper decline. 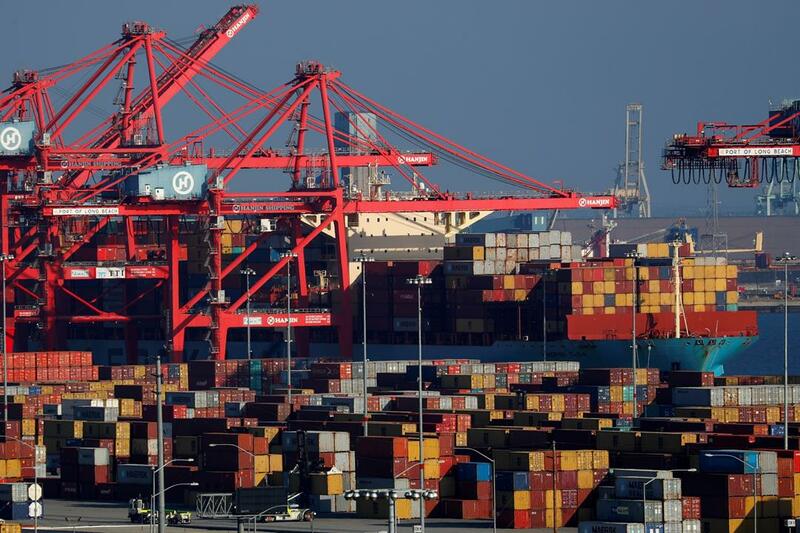 Combined imports into the ports of Los Angeles and Long Beach tumbled 10.2% last month from a year ago, the WSJ reports, in an abrupt end to the surge in importing that began last year as shippers rushed to move goods ahead of impending trans-Pacific tariffs. The upswing lasted into January, leaving the region’s terminals and warehouses overstuffed and a big overhang of inventory for retailers and manufacturers to start the year. New figures show the ratio of U.S. inventories to sales for retailers and all businesses rose in December to the highest levels since August 2017. Export volumes from California's ports also fell at a steep rate last month, adding to worries for U.S. companies that depend on trade. Global shipping industry interest in Europe is taking a swing to the East. An international group that includes Singapore-based port operator PSA International Pte is buying Poland’s largest container terminal, the WSJ’s Ben Dummett reports, in a $1.1 billion deal that highlights foreign investors’ willingness to bet on Poland’s economy. The investor group that includes IFM Investors and the Polish Development Fund is acquiring DCT Gdansk from the infrastructure investment arm of Macquarie Group Ltd. The deal is the latest sign of the new interest Europe’s seaports are getting from global port operators. PSA, which is owned by Singapore’s Temasek Holdings sovereign wealth fund, is expanding a European presence that includes Belgium, Italy, Portugal and Turkey. Poland’s economic growth is slowing, but it’s expanding faster than other European economies and the country is gaining logistics operations as companies spread their supply chains across the continent. The world of high-end cuisine is in an uproar over economies of scale. Fish eggs cultivated in China are flooding the global market for caviar, the WSJ’s Lucy Craymer reports, torpedoing prices for what used to be a rare delicacy. A new supply-demand balance has taken hold as a booming aquaculture industry has developed in some parts of the world to meet demand for caviar, typically consumed in small amounts. China has become a leader in fish-farming for caviar, producing large volumes of fish eggs at a relatively low cost that allows exporters to undercut other suppliers’ prices. One measure shows the average price of caviar imported into the U.S. has fallen by half since 2012. China’s caviar exports are surging, but don’t expect volumes to tip the scales in shipping: The exports carry high value but amounted to just 136 metric tons in 2017. America’s railroads are being hit by a tweetstorm. 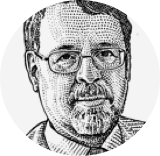 The long-running battle between Amtrak and freight railroads over train delays is breaking out on social media, the WSJ’s Ted Mann reports, bringing a real-time view of the conflicts over priorities on the country’s limited track networks. The dispute broke out after the national passenger railroad began using its Twitter account to alert riders when they’re being delayed by freight trains. Norfolk Southern Corp. fired off a letter disputing the accounts and warning Amtrak it “will be forced to consider further action” if the tweets keep coming. Beneath the online spat is an unsettled challenge for the railroads. Freight railroads generally have to make way for passenger trains under federal law. But they are loath to sideline their own slower-moving trains, especially as keeping to their own timetables takes on more importance in the shipping business. — Amtrak Vice President William Herrmann, in a letter to Norfolk Southern. Year-over-year decline in Cass Freight Index for U.S. shipments in February, the third straight monthly decline.